Our PGT and CWS single hung windows offer a classic, traditional design style that is the perfect look for almost any Tampa Bay or Sarasota home window replacement. 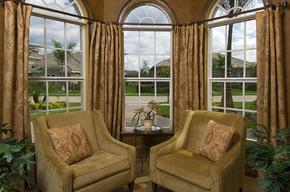 Single hung windows feature a moveable bottom sash (panel) which opens and closes vertically. Single hung windows were originally designed to offer large, wide openings which allow for maximum light transfer while still providing a window that is easy to open and operate. An added feature to all PGT single hung vinyl windows is a bottom sash that easily tilts-in for easy, hassle-free cleaning of the outer panel of glass. With a screen positioned on the outside of the bottom sash, you can open your single hung windows without worry of bugs and debris entering your home. PGT and CWS single hung windows are one of the most commonly chosen windows by homeowners today when replacing their old windows. PGT and CWS single hung windows are available in High-Impact Hurricane Rated versions, which exceed the strict demands of the Miami-Dade County High Velocity Hurricane Zone (HVHZ) Building Codes and also available in Non-Impact rated models. CWS WindPact Windows are manufactured in Ocala and are a very popular replacement window in the Tampa, Sarasota, Manatee, and Pinellas market. 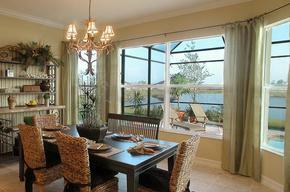 The WindPact window features a vinyl frame, insulated double pane glass, and meets Energy Star Standards. The WindPact will also meet the Miami-Dade HVHZ Standards.